With more than 67 million passengers passing through the airport each year, Heathrow feels more like a miniature country than an airport, and it's this global melting pot character that makes flying into Heathrow such a memorable experience. With four terminals constantly on the go, and a fifth on the way, Heathrow is doing its best to keep up with the growing demand for air Travel. The airport provides every facility, amenity and service imaginable, catering to everyone from high-profile business executives to five year olds who need to release some pent up energy. Being the world's busiest airport means you need to provide service to most of the world's airlines, and Heathrow covers the spectrum, handling some 90 airlines which arrive and depart to over 180 destinations across the planet. The airport's four terminals are designed to keep this massive quantity of air carriers as organised as possible for the convenience of travellers. Terminal 1 is the primary hub for domestic flights arriving from around the UK and Ireland. Most of the UK-based airlines operate out of this terminal, as well as a few others that handle long-haul flights to places such as South Africa and the United States. Terminal 2 deals mainly with flights to and from European destinations, so if you're arriving from somewhere on the continent, this may be where you end up. 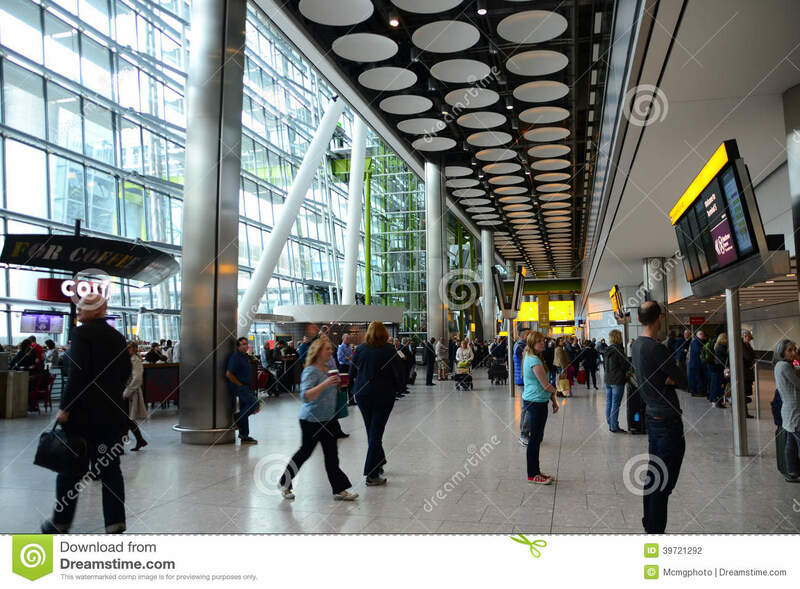 Terminal 3 is mostly for long-haul flights from North and South America, Asia, Australasia and Africa; while Terminal 4 is the home base for British Airways and KLM, two heavyweights at Heathrow who run all kinds of flights to Europe and every other corner of the planet. Terminals 1, 2 and 3 are located at the centre of the airport complex and are within easy walking distance of each other via underground walkways. Only Terminal 4 sits by itself on the south side of the airport, but it can be reached from any terminal via a free inter-terminal transfer service provided by the Heathrow Express train, which takes about 8 minutes. Whatever terminal you arrive at, there are car hire options available. Heathrow is located 15 miles from the centre of London, so it can take anywhere from 45 to 60 minutes to reach the city depending on how you go. If you plan to rent a car at the airport, there are car hire desks in the Baggage Claim areas of each terminal. Driving into London is a snap, as Heathrow lies just of the M4 motorway, which is well-signed and easy to navigate. Among the special facilities Heathrow has on offer, there are many places designed to entertain kids. KLM's Holideck lounge in Terminal 4 is the cream of the crop, with plenty of high-tech games to keep children occupied. The airport's official Visitor Centre is another good place for some distraction. A flight simulator, airplane viewing deck and outside play area make this a popular attraction. Information and tourist help desks are located in the Arrivals areas of every terminal, providing useful information for transport, lodging and tourist attractions. London's Heathrow International Airport is fairly well-equipped when it comes to the needs of disabled travellers. All terminals have ramps and extra wide pathways to ensure access to all areas of the airport. Toilet facilities and telephones are placed within reach of wheelchair users. If any special or serious problem arises upon your arrival, the independently operated Travel-Care agency, located in the Queens Building, can help you. Arriving at Heathrow should be a painless and perhaps even exhilarating experience for most travellers. The airport has all basic amenities and more, and with the opening of Terminal 5 in 2008, things look set to get even more exciting.